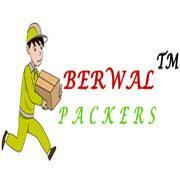 BERWAL PACKERS in Bangalore ,Berwal Packers are leading service suppliers company that helps people and businesses move their goods from one place to another. We offer all inclusive services for relocations like packing, loading, moving, unloading, unpacking, arranging of items to be shifted. Additional services may include cleaning services for houses, offices or warehousing facilities. We are an extremely practiced skilled Movers and Packers with the most effective techniques of packing in most sturdy material. The moving process also involves finding or buying materials such as boxes, paper, tape, and bubble wrap with which to pack boxable and/or protect fragile household goods, and to consolidate the carrying and stacking on moving day. We extremely take care of each little bit of paper work concerned and guarantee all statutory documentation and formalities on your behalf. Our well qualified employees are well versed with all the procedures of tariffs and strategy relating to shifting and relocation. You have no headache in clearance and will save your time. We have a special branch for security and clearance your luggage and documents. We place our client’s service above all and guarantee exceptional customer service from start to finish. We make the tough task of relocating household goods look easy, which is done from one destination to the other in India. We present the best solutions for every services related to Packing Moving, Household Shifting, Relocation and Car Transportation. With the help of our personnel staff and branches all over, we are one of the best Relocating and Moving companies in India. We have an all India presence and that is our biggest strength. You will see our branches as Berwal Packers in all major cities of India including Delhi, Mumbai, Bangalore, Chennai, Hyedrabad,Ahmedabad, Surat, Jaipur and many more. Berwal Packers are leading service suppliers company that helps people and businesses move their goods from one place to another. We offer all inclusive services for relocations like packing, loading, moving, unloading, unpacking, arranging of items to be shifted. Additional services may include cleaning services for houses, offices or warehousing facilities. We are an extremely practiced skilled Movers and Packers with the most effective techniques of packing in most sturdy material. The moving process also involves finding or buying materials such as boxes, paper, tape, and bubble wrap with which to pack boxable and/or protect fragile household goods, and to consolidate the carrying and stacking on moving day. We extremely take care of each little bit of paper work concerned and guarantee all statutory documentation and formalities on your behalf. Our well qualified employees are well versed with all the procedures of tariffs and strategy relating to shifting and relocation. You have no headache in clearance and will save your time. We have a special branch for security and clearance your luggage and documents. We place our client’s service above all and guarantee exceptional customer service from start to finish. We make the tough task of relocating household goods look easy, which is done from one destination to the other in India. We present the best solutions for every services related to Packing Moving, Household Shifting, Relocation and Car Transportation. With the help of our personnel staff and branches all over, we are one of the best Relocating and Moving companies in India. We have an all India presence and that is our biggest strength. You will see our branches as Berwal Packers in all major cities of India including Delhi, Mumbai, Bangalore, Chennai, Hyedrabad,Ahmedabad, Surat, Jaipur and many more.